Considering that the conventional treatment of advanced stage pancreatic cancer can result in as little as a 1% 5-year survival rate, new preclinical research on a liposomal turmeric extract that inhibits pancreatic tumor growth by 42% is all the more promising. Could an extract of pineapple fruit be both safer and more effective than a blockbuster chemotherapy agent? With chemotherapy resistant cancers on the rise, and conventional drug treatments often doing more harm than good, research on omega 3 fatty acids reversing multidrug resistance in colon cancer cells holds all the more promise. 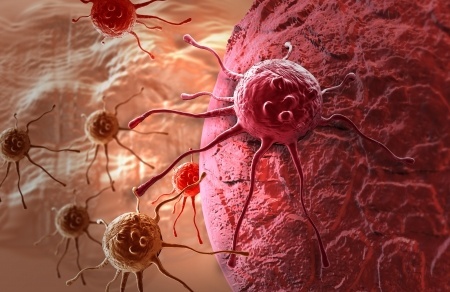 Are Cancer Stem Cells the Key to Discovering a Cure? The root cause and potential cure for cancer is ignored by virtually all conventional oncologists despite an accumulating body of research that we already have the answer. The Modern Physician: A Glorified Applied Phamacologist? Ok, so we have billions of pounds of synthetic chemicals consumed every year as patented drugs, with an army of degreed, licensed and doctored foot soldiers prescribing them recklessly under the once great banner of "medicine," in an ongoing war against the body's virtually infinite potential to generate symptoms, most of which are – ironically – a means to heal from acute or chronic exposure to synthetic chemicals. There are many things that drive cancer. Poor diet, chemical and radiation exposures, and certain infections, figure prominently in the process. Stress, however, is a major contributing factor that is often ignored. New research, however, sheds light on how stress hormones make cancer cell resistant to multiple treatments. What Common Foods May Kill Multi-Drug Resistant Cancers? The GreenMedInfo database has assembled more than 60 articles and studies regarding what food substances can help kill cancers, including those that are resistant to treatment with drugs. There is a medicinal spice so timelessly interwoven with the origins of human culture and metabolism, so thoroughly supported by modern scientific inquiry, as to be unparalleled in its proven value to human health and well-being. Newly published research from the journal cancer indicates that conventional radiation-based cancer treatments may actually be driving the cancer into greater malignancy. Irradiated breast cancer cells were found to be 30 times more capable of forming new tumors than nonirradiated breast cancer cells. Turmeric's Healing Power: A Physical Manifestation of Compassion? Few, if any, plants have been revered as thoroughly -- by the religious and scientific community alike -- as a healer of the human body, mind and soul, as beautiful turmeric. Known for thousands of years as a powerful tonic for health, new research reveals that ginseng and other cancer stem cell killing plants may provide highly effective treatments for cancer.